Happy Monday to you! I hope that you had a wonderful weekend and a very Happy Mother’s Day! We are On the Road again this week (bet you would never have guessed that!) so we will have many more places, farms, chefs and stories to tell you about in the coming weeks and months. 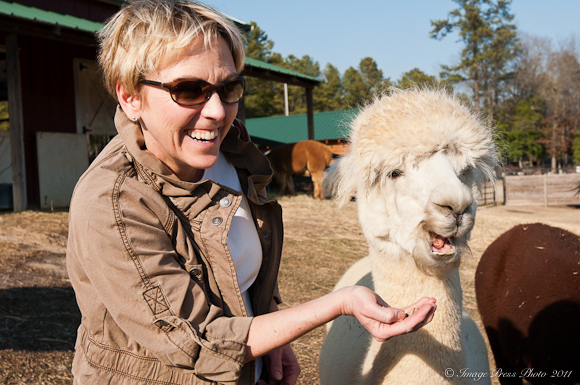 However, today, I wanted to share with you the second half of our visit to Crystal Pines Alpaca Farm in Carthage, North Carolina. 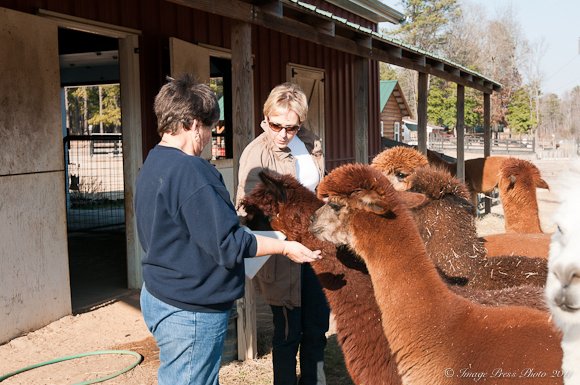 The alpacas come running when Ursula feeds them! This is my funny Valentine! If you were reading Bunkycooks in February of this year, you may remember that we traveled to Pinehurst, North Carolina. We were asked to speak at the ANA Conference (Agritourism Networking Association) of North Carolina on a social media panel. It was then that we met this delightful couple, Joe and Ursula Picareiello. 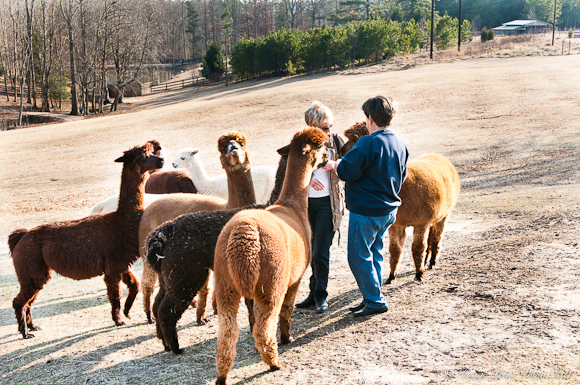 They operate Crystal Pines Alpaca Farm as their “retired” business and it is strictly an agritourism farm. 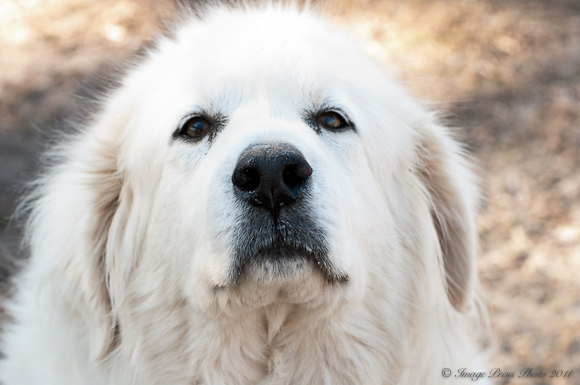 This sweet Great Pyrenees is one of their guard dogs for the Alpacas. They sure love to eat! Retired is an operative word since their farming goes from sunup until sundown! 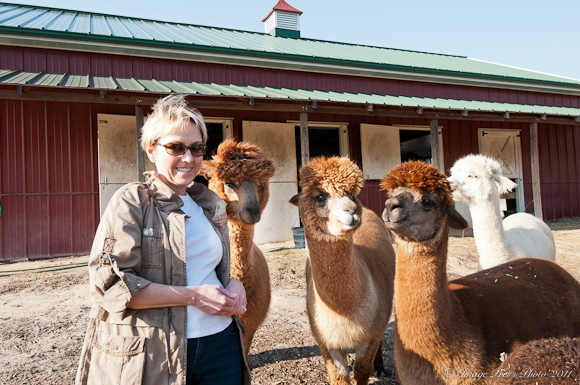 That’s not most people’s idea of retirement, but they love working with the children and adults (often disabled) that come by to visit their farm and see the alpacas, purchase some of Ursula’s gorgeous plants and scoop some poop! They compost the Alpaca poop and sell it as fertilizer. It is incredibly rich and when used properly, is wonderful for your garden. Just don’t use too much. It is soo rich, it can burn your plants. 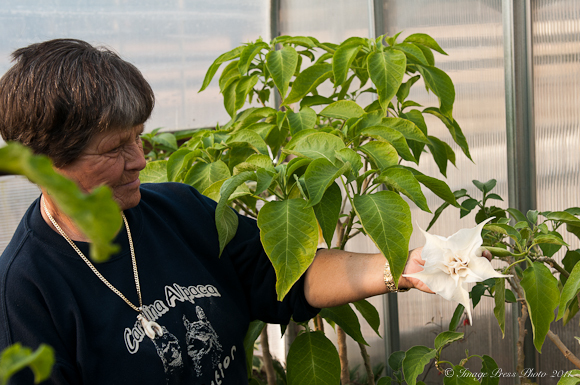 Ursula grows many varieties of plants, herbs and flowers from Europe. The flowers she grows are really spectacular. 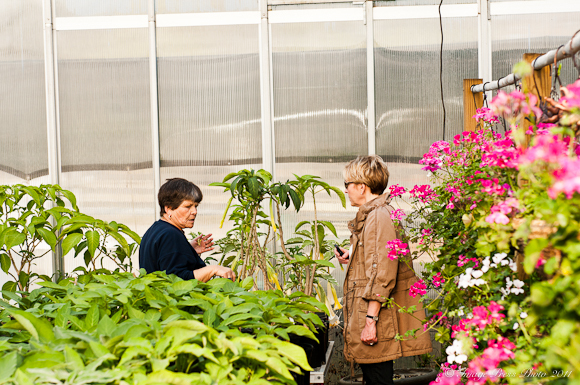 We had so much fun visiting with Joe and Ursula and seeing their beautiful farm. If you did not see Part One, you should head over to that post too. One part of their farm looks like Charlotte’s Web and they also have some gorgeous black swans (not to be confused with that disturbed ballerina in the movie). How adorable are these critters?? I’m astounded by the hooves on these animals. And in love with the Great Pyrenees. 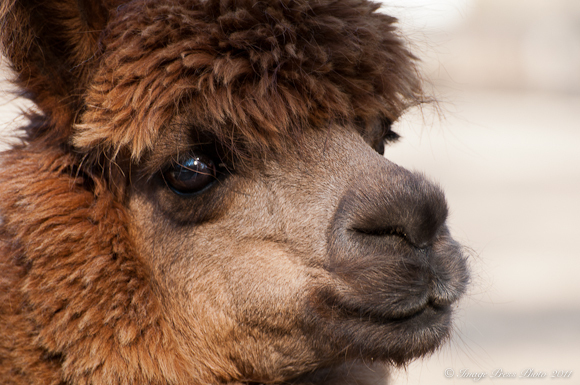 Aww Alpacas:) Don;t they spit if you approach?! Wait, no, no that is a camel that does that. lol Great road trips you take Gwen!! How fun! 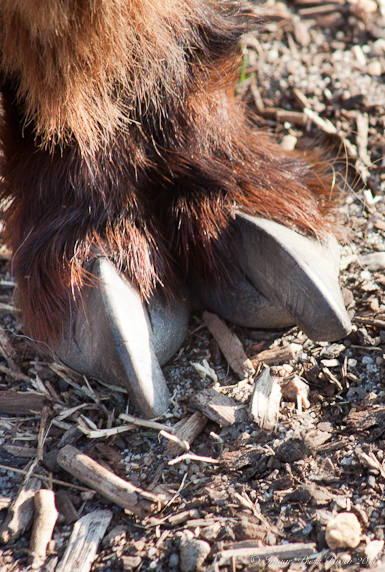 And those hooves?!? Oh my! Outrageous! That babies are darling!!! I wonder what it would take to have one in my backyard???? What a lovely and interesting trip! :) You must have had lots of fun!!! !